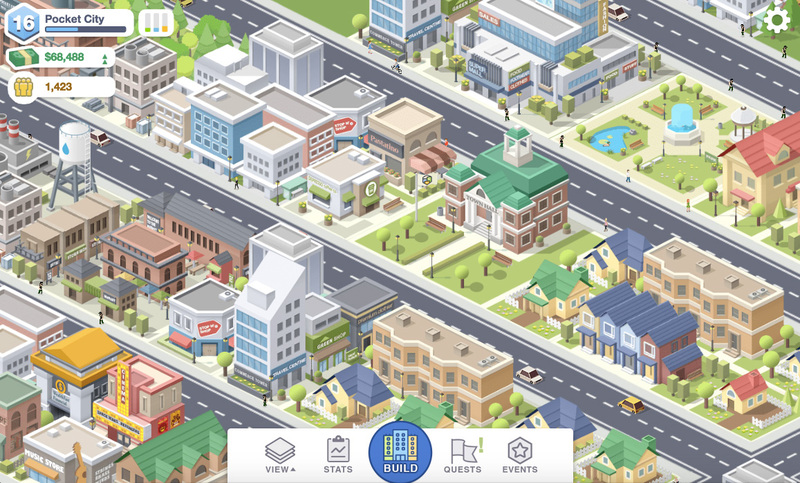 Pocket City is an upcoming mobile city building game for iOS and Android. There are no microtransactions - all unlockable items are earned through gameplay only. 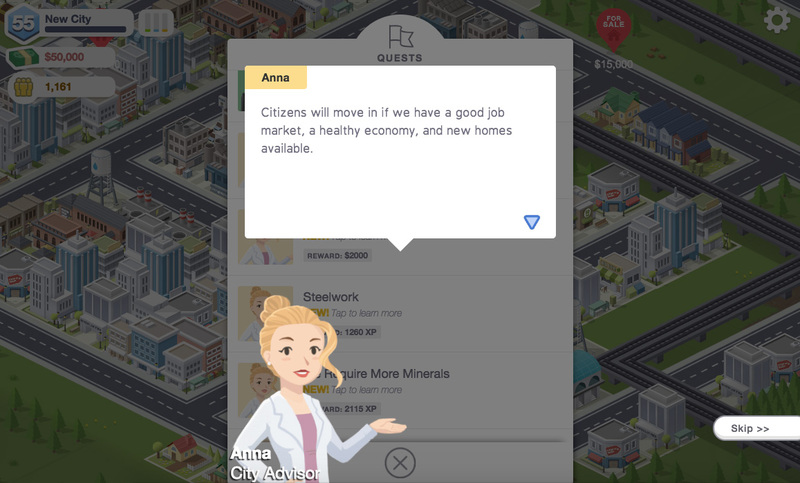 Pocket City will be a paid app on the iOS App store. On Android, it will be a paid app with an alternate, limited free version. The free version will contain reward ad videos (which the player can watch for a small amount of cash boost every few minutes). 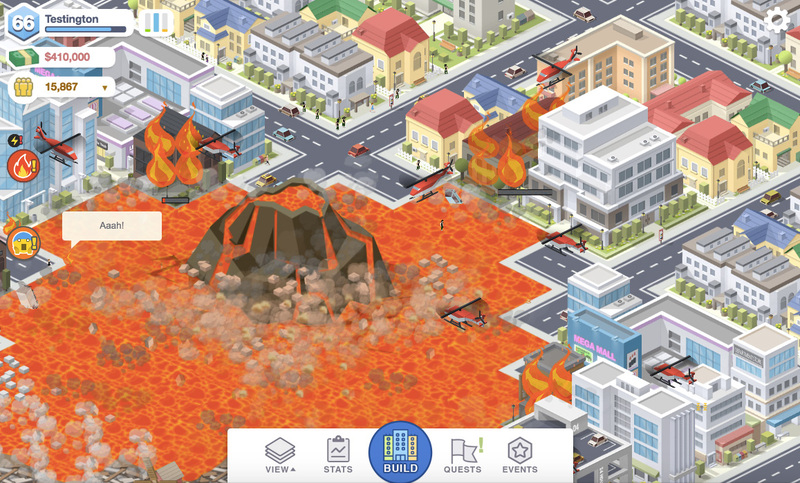 The paid version is ad-free and includes a sandbox mode, where everything is unlocked. The release date is July 31, 2018. 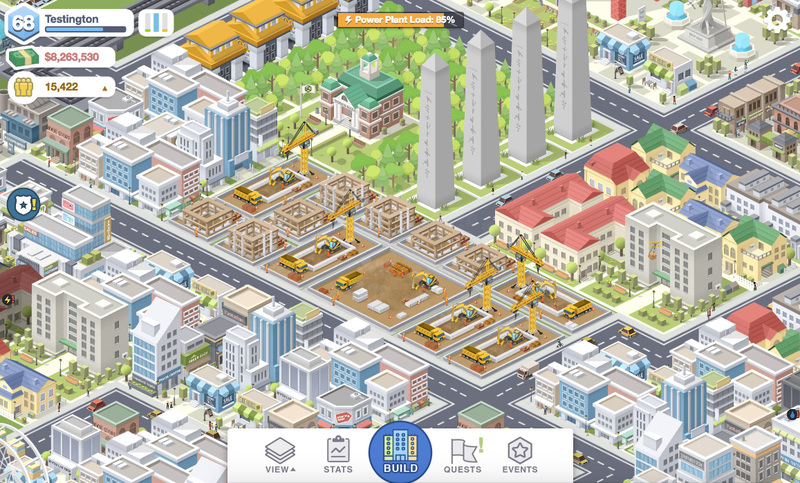 The player builds their city by creating residential, commercial, and industrial zones, as well as placing special buildings. The player completes quests to gain XP and level up. 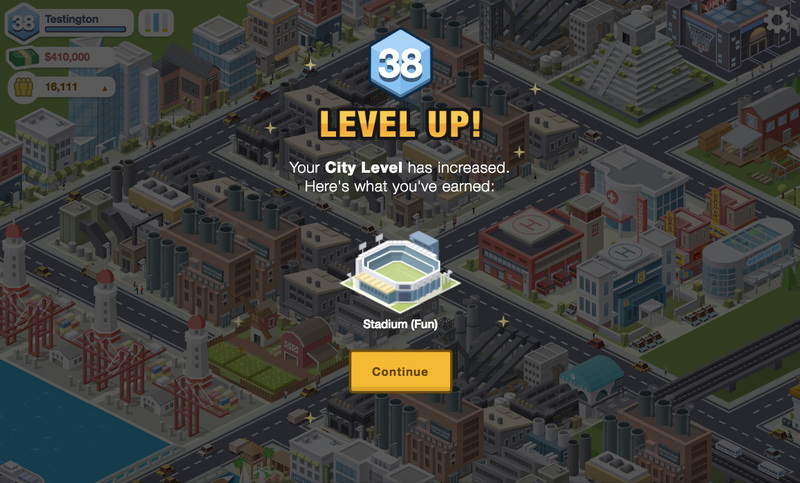 After levelling up, new special buildings are unlocked. Certain buildings can be upgraded. 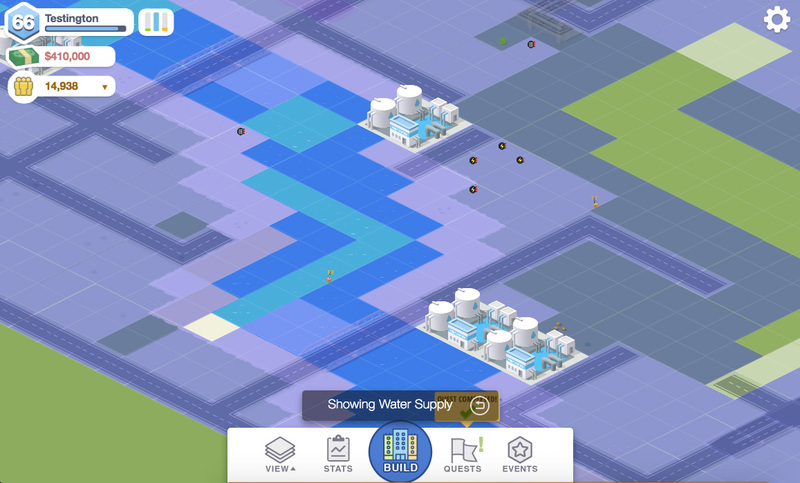 Zones can also be upgraded once the player's city level is high enough. The player must build their zones strategically to meet demand. A handy chart shows the demand of each zone type. A good balance creates a good economy, increasing the player’s income. 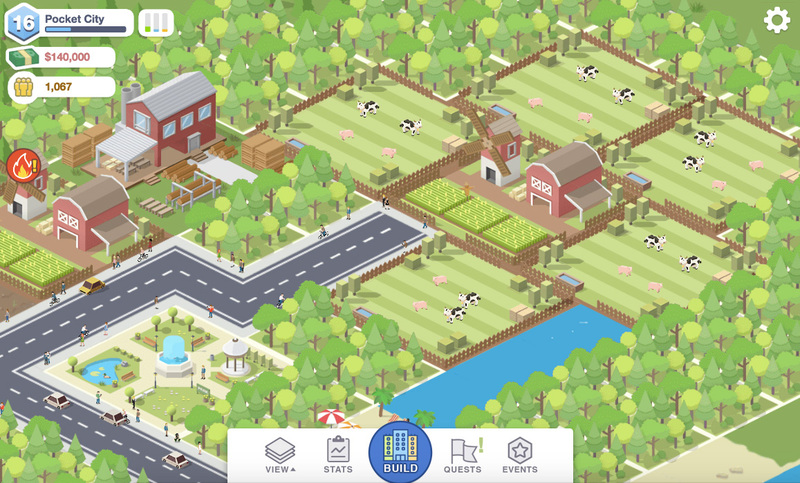 A high income allows the player to build more and expand to new areas. Power and water resources must be supplied to zones and buildings. Different power plants have different effects - some are more green than others, some are more powerful. 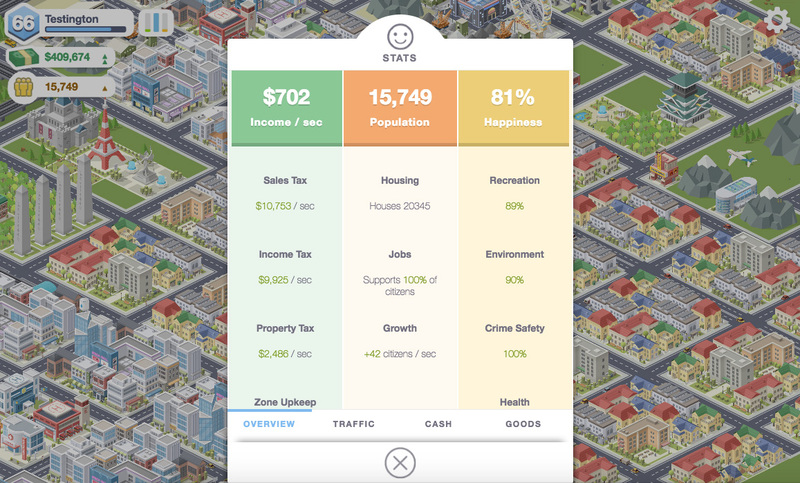 The main metrics in the game are income, population, and happiness. High happiness ensures citizens stay in the city and don’t move out. 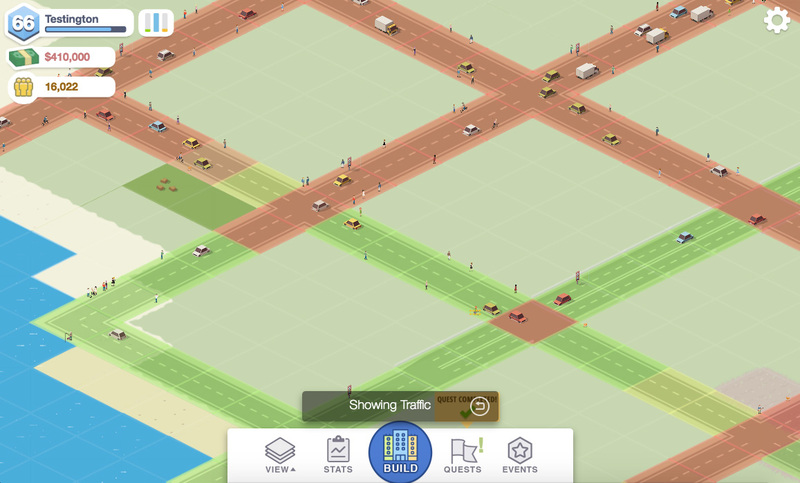 Other metrics in the game include traffic congestion, crime rates, fire safety, health, recreation, job market, housing. These metrics affect the higher-level metrics. 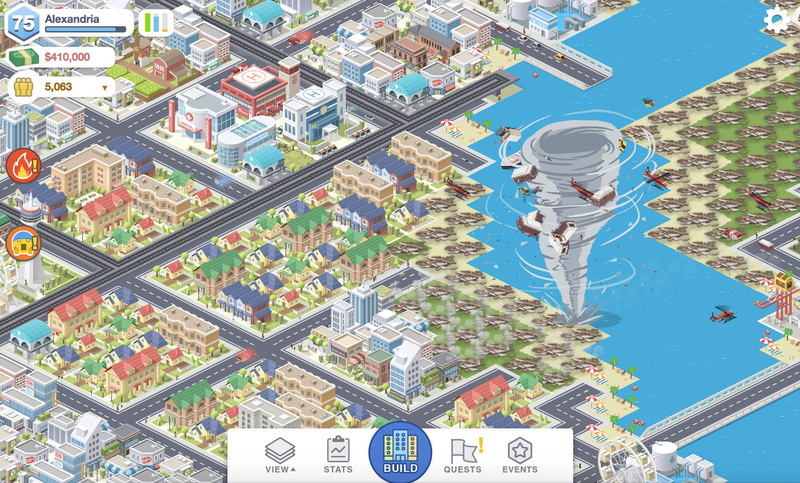 Disasters will occur periodically through the game. These will destroy zones and buildings, which will likely cause havoc to the economy, to which the player must respond and rebuild. Player-triggered special events are another feature. 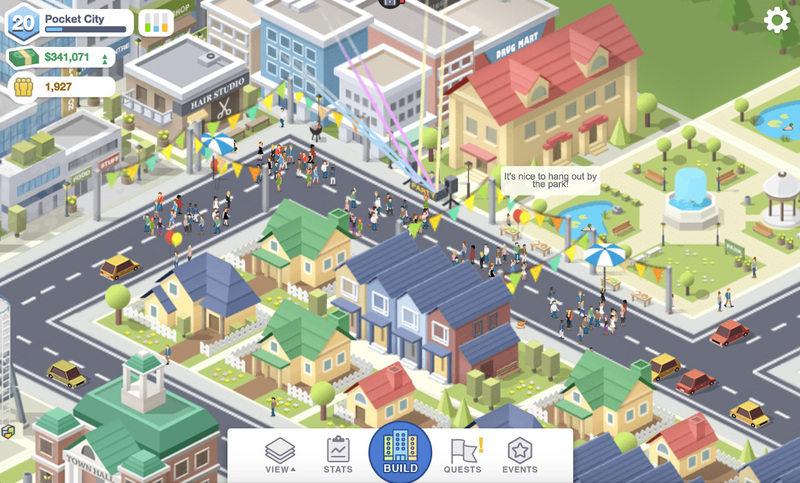 The player can activate these with a cooldown to start an event, such as a block party, for example. These provide an XP boost, and are unlocked as the city levels up. 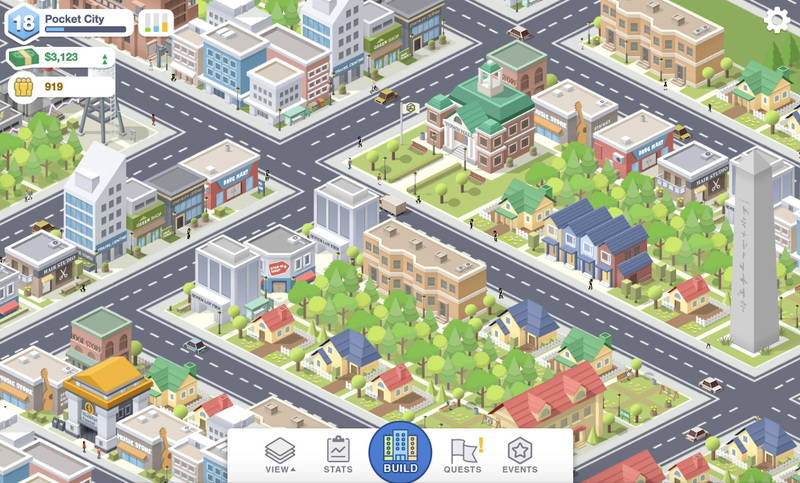 Pocket City is created by Codebrew Games - a one-person indie studio from Toronto, Canada. Developed by Bobby Li, with special thanks to friends who contributed: Scott Hitchon (audio) and Jacob Gordner (writing). For business / press inquiries, please email Bobby Li at [email protected].